To be named high-school valedictorian is an honor for any family. 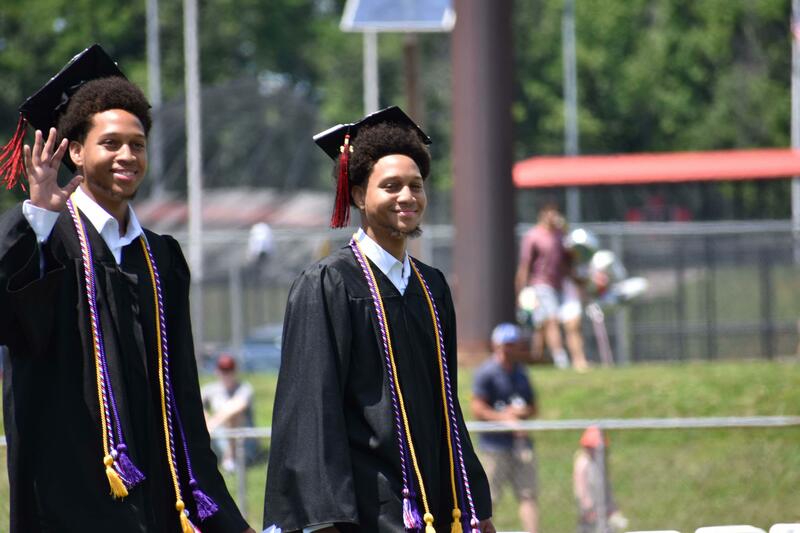 For the Georges, that distinction came in the form of fraternal twins, Malik and Miles, who are now heading to their dream school together: Massachusetts Institute of Technology. The 18-year-old brothers from New Jersey delivered a rousing and light-hearted speech at their Woodbridge High School graduation ceremony Thursday, capping off years of academic excellence and hard work. The twins took turns giving their combined oratory address to their nearly 400 classmates, each one putting a spotlight on subjects dear to them like climate change and having support groups. "It was an amazing experience," Malik said. "To have all four years to culminate that moment is an enriching experience." The graduates, who earned near perfect SAT scores and didn't have a grade lower than an A-minus in high school, now head to MIT, the school they've been laser-focused on since freshman year at Woodbridge High. So much so, the George brothers applied early -- and found out they got in weeks before their birthday in December. "It was our dream school," Miles said. " We were looking at top ten schools and we fell in love with everything it had to offer." In addition to MIT, the brothers were also accepted into Harvard and Johns Hopkins University. They attribute much of their achievements to their parents, who recently celebrated their 20th wedding anniversary. "From a very young age, our parents have been active in our education," Malik said. "If we ever did get a B, they never forced us to do anything, they just wanted us to do our best." Away from their parents, now the brothers have each other to look out for once they head to college. Malik is 11 minutes older, but Miles is two inches taller. "We're each other's big brother in a way," Malik said.